Yet another lengthy break from painting has come to an end. This break was all about the arrival of my Daughter and then moving house (again). My last tour was absolutely exhausting and so I've capitalised upon the opportunity presented by a massive leave balance to take a few weeks off. The first 3 weeks were all about moving back to Northumberland from London. This week is all about painting! So far I've managed to slap some paint over the Liche and his band of cultists and the Sigilist and her band of merry women. 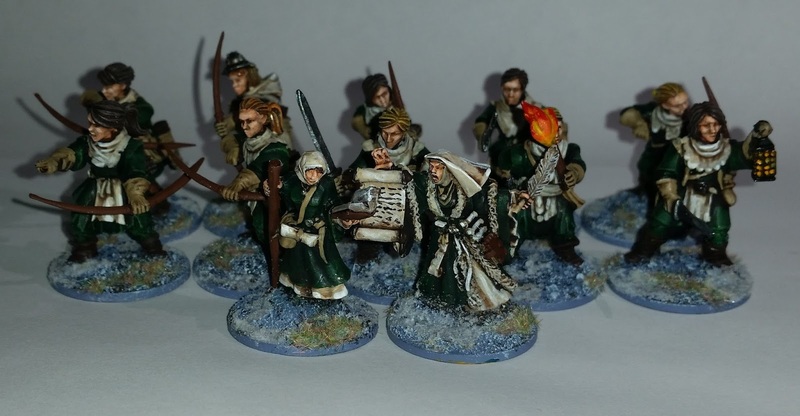 These are simply head swaps on the standard Frostgrave Soldiers using the heroic scale women's heads pack by the brilliant Dice Bag Lady to achieve a reasonably effect (apart from 1 failed attempt to fit a helmet which is why she's hidden out of focus at the back of the photo. OPERATION SEA LION - A few miniatures from the Bolt Action Operation Sea Lion range by Warlord Games. Add your email address below and you'll know when I've been rambling! 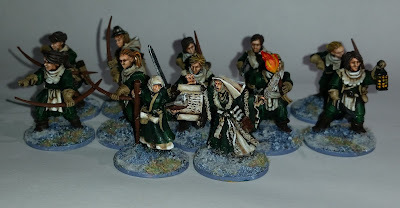 2011 Modest Miniatures. Theme images by Ollustrator. Powered by Blogger.